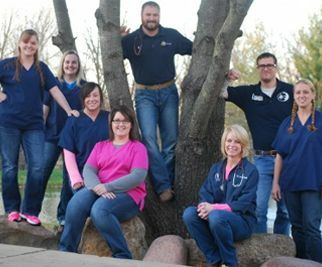 Meet the Veterinarians & Team of Auburn Veterinary Service in Auburn! ​​​​​​​We’re pleased to provide exceptional vet care for your pets! Please call us at 217-615-5500 to speak to one of our caring veterinary staff members! Originally from Taylorville, IL, she received a bachelor's degree in biology from Creighton University in 1997 and went on to the University of Illinois College of Veterinary Medicine where she received her Doctorate of Veterinary Medicine in 2001. 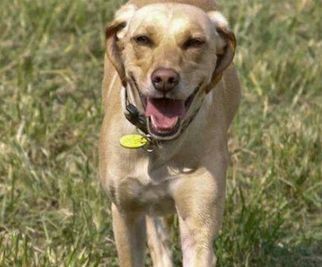 After working for 4 1/2 years in Anna, IL at a mixed-animal practice she returned to central Illinois where she worked as a relief veterinarian for 2 years. 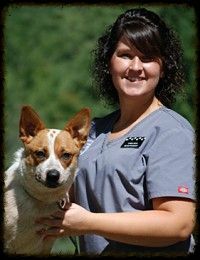 She joined Auburn Veterinary Service full-time in January of 2009. In June 2017, Kristi and Kyle purchased Auburn Veterinary Service from the Narmonts. Kristi enjoys surgery, internal medicine, behavior and interacting with the clients and patients. Kristi is married to Stan McTaggart and they have two kids (Davis and Mae), a dog “Goose”, and a cat “Furlee”. In her free time, she enjoys the outdoors, reading and most sporting activities. Kyle grew up on a small farm in rural southwestern Wisconsin. His love and admiration for animals started at a very early age. He attended the University of Wisconsin, Platteville for his undergraduate degree in animal science. He was accepted into veterinary school at St Georges University in Grenada, West Indies where he received his Doctorate of Veterinary Medicine in 2010. His clinical year was completed at the University of Missouri, Columbia. After graduation, he accepted an associate position at a 12 veterinarian mixed-animal practice in Alvarado, TX. After working there for 1.5 years, he accepted the resident veterinarian position at Richland Ranch/Auburn Veterinary Service in December 2011. In June 2017, Kyle and Kristi purchased Auburn Veterinary Service from the Narmonts. Kyle’s professional interests include equine reproduction and medicine and small animal internal medicine and surgery. Kyle and his wife Sarah have four kids (Calli, Lane, Lindsey and Natalie), two dogs-Clover and Soldier, and a cat named Sherman. He enjoys spending time with his family, hunting, camping, woodworking and horseback riding. Ashley grew up in Gillespie, IL and graduated High School in 2011. Shortly after, she attended the Vet Tech Institute at Hickey College in St. Louis, where she received her degree in December of 2012. 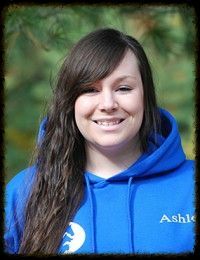 Ashley started working at AVS in February 2013. She then took the VTNE in March and became a Certified Veterinary Technician. She has three pets at home: Freckles (Great Dane), Myrtle (cat), and Flash (Rabbit). Brittany grew up in Auburn and joined the AVS crew in August of 2012. She enjoys being outside, photography, and spending time with her family and boyfriend. Brittany has a dog named Beretta (a German Shepherd). Mallory grew up in Southern, IL until 2013 when she moved to Modesto, IL. She graduated from Northwestern High School in Palmyra, IL in 2016. She then got her certification as a vet assistant in the fall of 2016. She finished her externship here at Auburn Veterinary Service and was later hired in August of 2017. She is now studying towards a degree in Marine Biology. She has an Anatolian Shepard named Mesa, a cat named Juno, and many tropical fish. Hannah grew up in Divernon, IL and graduated from Auburn High School in 2018. She rescued her first animal, a pregnant cat, when she was two years old. She currently has three cats, Charlotte, Elsa, and Carrie, along with a Cavalier King Charles Spaniel named Leo. She is working towards her degree in Biology at LLCC and wishes to become a veterinarian. 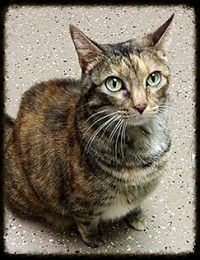 In her free time, she enjoys painting and doing crafts, as well as volunteering at the local Forever Feline Ranch. Chelsea grew up in Bethany, IL and was hired as a receptionist at Auburn Veterinary Service in January of 2009. 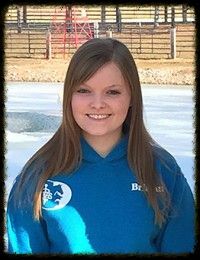 Her main passion is horses, so she enjoys being involved in the activities at Richland Ranch as well as the small animal clinic. In 2008 she graduated from Black Hawk College with a degree in Equine Science and Horse Science Technology. She then had an internship at Richland Ranch which led to her current position at AVS. Chelsea is currently working toward her Business Management degree and CVPM certification. Chelsea is married to Dan and they have a daughter June and have 3 pets: Sydney (Australian Cattle Dog), Lambeau (Lab Mix), and Matilda (Feline). Jeanine grew up in Taylorville, IL. She attended LLCC and has worked in various veterinary clinics since 1984. She started at AVS in June 2015 after Dr. Kyle performed eye surgery on her horse. In her off time, she likes to attend dog shows and dock jumping with her dogs, Kimber and Sig. Other interests include deer hunting, target shooting, fishing, and studying her family genealogy. Jeanine is married to Daryl and they only have 4-legged children. Their pets include 2 dogs (Kimber and Sig), 1 cats (Purby), 3 horses (Reba, Neeka, and Aprapahoe), 1 Crested Gecko (Hooch), and some tropical fish. Marissa grew up in Girard, IL. 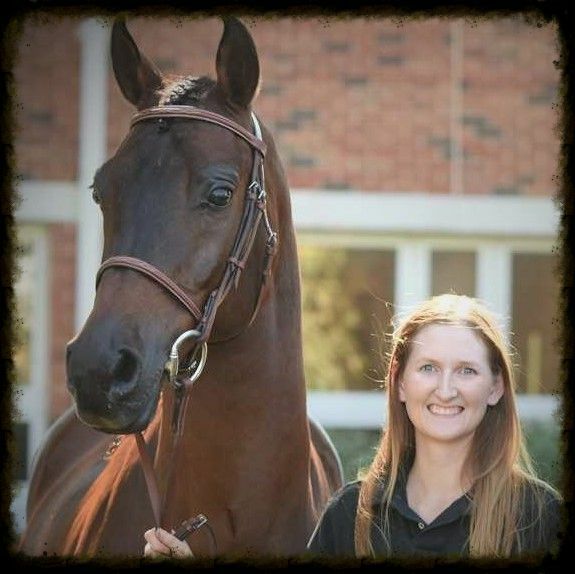 She graduated from North Mac High School in 2013, then went on to William Woods Univerity to get her Bachelor's degree in Equestrian Science in 2017. In her off time, she can often be found in the barn riding and showing Arabian horses. She has 3 dogs including a Corgi/Lab mix named Frank, a Catahoula mix named Millie, and a Pug named Mable. ​​​​​​​Ringo has been with us since 2012. He gets to roam the clinic during the day and socialize with everyone. He loves greeting clients and their pets at the door. He has been a great addition and he always makes us laugh! ​​​​​​​Kimmy is one of our house cats. She loves attention and to be around people. She is a little shy at first but is quick to warm up to new people. She loves to boss Ringo around and keep him at a distance. Kimmy loves to talk as well! 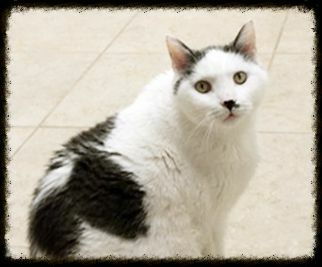 ​​​​​​​Rudy is the newest member of our cat crew. He is a little shy and stays away from the commotion. 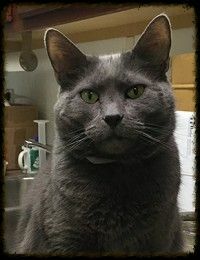 He is very sweet and loving and enjoys cuddling with Dr. Kristi in her office chair.